With his powerful, virtuoso playing, Emmanuel Ceysson sweeps away all the clichés associated with his instrument. His infectious enthusiasm and boundless energy reveals the harp in all its sparkling splendour, in a world where poetry rhymes with temperament. CHOSEN as the Principal Harp of the legendary MET Opera Orchestra amongst 75 others of his best peers in a totally blind and anonymous audition process, he moved to New York in 2015 from Paris, leaving the Harpist chair of the Opéra National, that he had won aged 22. As a RECORDING artist, his wide discography covers solo, chamber music and concerto harp repertoire with labels such as Naxos, BR klassik, Naïve, Aparte, and received praises from the specialized press. 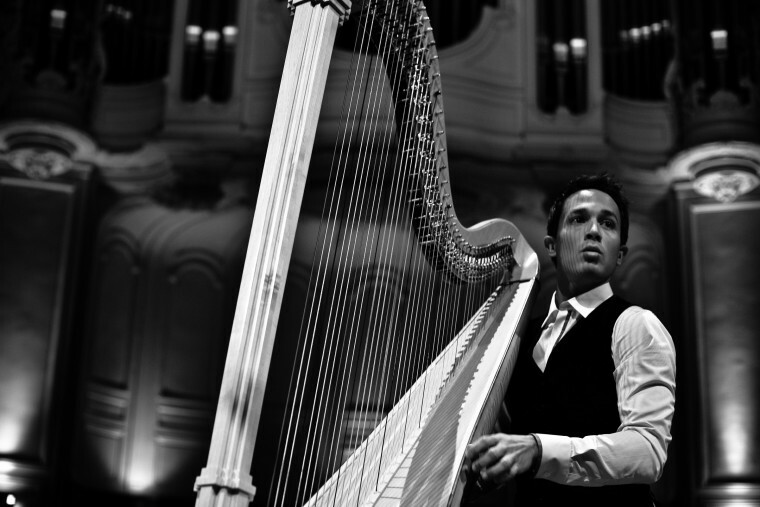 Finally, he also invests lots of time TEACHING masterclasses worldwide, leads a pro-bono harp development program for Latin America in Colombia with the help of the Fundacion Victor Salvi, and teaches a harp studio at the Mannes School of Music .